Strood Gospel Mission Church has a team of leaders (Deacons and Elders of the church who are also the Charity Trustees) who work together to serve the church through leadership. We are accountable to the church. Our previous minister, Dave Clarke, moved to a new ministry in September 2016 after 20 years of faithful service at Strood Gospel Mission Church. We miss him but, with support from an interim pastor Revd David Bousfield, we are currently seeking God's guidance for the future and filling this vacancy. Kevin assists in the pastoral oversight of the church. He is married to Pat with two grown-up children. Kevin is the warehouse manager for Medway Foodbank and operations manager at Strood Community Project and has worked with church based community charities for over 10 years. He worked as an electronics engineer and engineering manager for 25 years after graduating in Engineering Science, and still enjoys things technical. Ray Avenell - Treasurer . Ray heads up a charity, SEED, which supports regeneration and aid projects, mainly in eastern Europe. Ray is our church's globe trotter and has visited many parts of the world. Previously, he worked in banking. Christine is married to Shaun and has 3 grown up children. She makes sure the church is well organised! Jean is a gifted preacher and leads a very popular quilting group. She used to be a nurse , but is now retired and enjoys time with her children & grandchildren. Rick is married to Diana , and works for a large retail company after several years as a trainer specialising in safety training for HGV drrivers . In his spare time he enjoys riding his Harley Davison. Rick is pretty useful with a welding torch. He can be found most Sundays behind the drums supplying the beat as part of the worship group. Diana, married to Rick, works for a large retail company but also volunteers with Strood Community project . 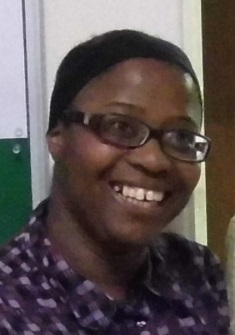 She heads up our Christians Against Poverty programme . Karen is a Court administrator in London. She has a heart for the community and for each person in the church fellowship. Known for her welcoming smile, Karen has an encouraging word for young and old alike.